Wasting money can be an easy thing to do if you are not careful. If you want to improve your financial situation and learn how to save money, you’ll first need to figure out how you’re wasting money. Now, not everything mentioned in this post is a complete waste of money, but sometimes these things can lead to unnecessary overspending if you are not careful. Many people just take an expense as-is, and don't question it. However, you should be asking questions and shopping around because you may be able to save money by doing so. You never know, even the simple question of “how can I get a discount” can help you make a smart purchase while not wasting money! Instead of wasting money on the things below, you can be putting your hard earned dollars towards your next vacation, a retirement fund, a college fund, or something else. 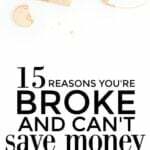 I hope this article helps you analyze your expenses and see where you may be overspending. 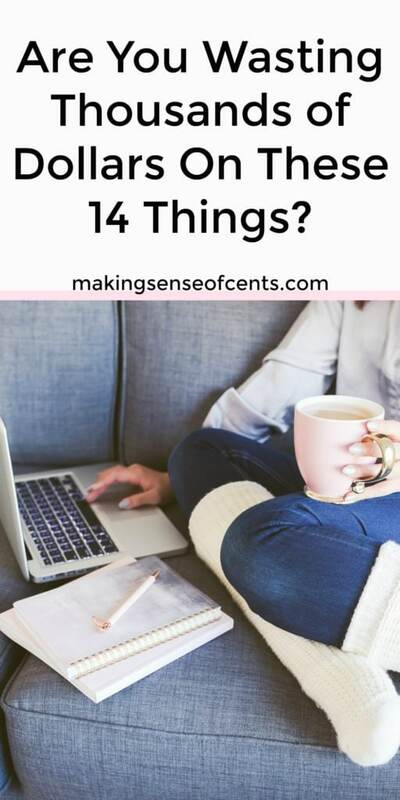 And, I do understand that there are plenty of reasons for why a person may spend money on some of the things below; however, the point is to see if YOU should be spending as much on these things. Everyone is different and there is no right or wrong answer. I am a firm believer that money should be enjoyed and everyone enjoys spending their money on different things. However, that doesn’t mean you should be wasting money. Here are 14 things that may be wasting money on. While a wedding can be a special event to spend your money on, you may be wasting money by not finding ways to lower your wedding expenses. I recently read that more and more brides and grooms are taking out wedding loans in order to fund this single event. Considering that the average wedding is now over $30,000, wedding loans can be quite big, and this can be a terrible way to start a new life together. Starting your marriage with debt like this may lead to stress, unhappiness, fights, and even regret for spending that amount of money. Nearly every married couple I’ve talked with says that they definitely did not need to spend so much money on this one day, especially if it could have led to negative financial implications. Limiting your guest list. You may really want to include your second cousin's best friend's sister, but trimming your guest list will cut down on costs related to food, alcohol, venue size, and more. Skipping the diamond. Engagement and wedding rings do not have to be diamonds in order to have a successful marriage. Other alternatives may be a ring that you make yourself, moissanite, a simple band, and so on. DIYing certain aspects of your wedding. DIYing isn't always cheaper, but there are some instances in which you may save money. This can include making the table decorations yourself, arranging your own flowers, making your own wedding cake, and more. Going to the court house. You don't need to have a huge and expensive wedding in order to be happy! I understand that watching TV can be fun, and it may not be a complete waste of money. However, if you are paying for an expensive cable package and are financing your TV, then you may be wasting money on things that you don't exactly need. Really, the average household probably doesn’t need as expensive of a TV package as they have. For us, we completely got rid of cable, Netflix, Hulu, and everything else. Now, we just watch local channels using a digital antenna, and we don't miss paying for TV at all! Considering that the average person wastes over 30 hours each week on TV, I'm going to assume that most of these people aren’t very happy with the amount of time they are wasting. Instead, why not try to get rid of TV completely? You’ll not only be gaining hours each week, you’ll stop wasting money at the same time. You can read more about cutting cable here and how to save money by doing this. I recommend getting a digital antenna so that you can watch local channels for free! Water is valuable, don't get me wrong about that. But, in this section, I'm talking about buying individual bottles of water from the store that may cost $1, $2, or even more for just water! Instead of spending $100 on bottled water each year, you can probably drink the water from your own faucet. You can even buy a water filter if you want to. Note: I do realize there are some towns where water is not clean enough to drink, and in those places, water needs to be bought. However that is most likely not the average person. Paying to see your credit score. Some companies will charge to check your credit score, and some people even pay for this on a monthly basis. The truth, though, is that you can receive your credit score for free a few times a year. It never hurts to check your credit score, and you have no reason not to know what your credit score is. Plus, with Credit Sesame you can check your credit score for free, which is the first step to improving your credit score. There is absolutely no need to pay to see your score. You can also receive one annual free credit report from the three main credit bureaus (Equifax, TransUnion, and Experian). Yes, this means that you get one from EACH, so three per year. 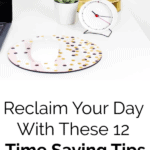 I recommend spacing them out so you get one every 4 months. You can read more about this here. Everyone has been hit with the question of whether or not to purchase the extended warranty when buying a particular item. Sometimes they are useful, but I have come to realize that, for the most part, buying one leads to wasting money. Personally, I have bought numerous extra warranties that were not honored because of one ridiculous excuse after another. We recently bought an expensive item for our RV and were offered an extended warranty. We declined it, but the cashier said that they actually had a coupon to make the extended warranty free. We said yes since it was free, but I still can't believe they asked us to pay for it first. Before you purchase your next warranty, you should analyze the agreement and see if it is worthwhile. In many cases, a warranty is not worth it because of strict rules, expensive deductibles, and more. Also, check to see what kind of free warranty already comes with the product. In many cases, it is enough. Cell phone bills can easily cost over $100 per month, and if you have a family, then you may be paying a few hundred dollars per month. Even though most people are not happy with their cell phone bill, many have yet to take the time to look around to compare pricing. This is because many people are afraid of losing their phone number, the possibility of a different plan or company being worse, and so on. In most cases, you may be able to keep your cell phone number. If you can't, saving hundreds of dollars over the course of a year often warrants the case for switching to a lower-cost plan. Not wasting money can make losing your number worthwhile. And, if you can't afford a cell phone, then any plan would just be a complete waste of money. Yes, there are actually people who don't have cell phones and they do just fine. If you are looking for a more affordable cell phone service, then I recommend looking at Republic Wireless. They have monthly cell phone plans for as low as $15 per month, and both my sister-in-law and mother-in-law use them for their cell phone needs. Many people still think that hotels are the only places to stay at when on vacation. However, that's totally wrong! Thanks to today's technology, you can easily find homes that other people own and rent out to travelers. Hotels are still great for vacations, but they aren't your only option. You may be wasting money by only comparing hotel prices. My preferred way to travel is to stay in short-term rental vacation homes such as Airbnb (this link will give you a $20+ Airbnb coupon code for your next stay). Airbnb vacation home rates are usually comparable or cheaper than a hotel, plus you typically have more room and there is usually a kitchen as well. Also, if you have a lot of people going on vacation with you, you can split a house for a much cheaper price than it would cost for everyone to get a hotel room. Not being smart about vacations. To go along with the above, many people are also wasting money on expensive vacations. Now, I'm not saying that vacations are a waste of money, because I definitely do not think that. Instead, I'm saying that if you are smart about planning, you don't need to spend thousands of dollars in order to go on a fun and memorable vacation. In 2016, me and my husband earned over $5,000 in free cash just by using our credit cards like we normally would. We put all of our expenses on our credit cards, completely pay them off each month, and earn free rewards points and cash back. Being flexible with your flight. Traveling in the mid or off season. Staying in an Airbnb (mentioned above) for a better travel budget. Asking for a discount at the hotel you are staying at. Buying groceries and eating out less. Debt can be a waste of money. Yes, there are strategic reasons to keep debt, but if you do not have a strategic reason, then paying it off is most likely your best bet. Debt can lead to wasting money on interest charges, especially if you have high-interest rate debt. This is because the interest charges you are paying continue to build up until you are able to completely pay off your loan. If you have never done so, I want you to add up how much interest you are paying each day and each month towards all of your debt. I bet you will be shocked! The average person spends way too much money on their car and is actually wasting money on it. In fact, according to Edmunds.com, the average person in the U.S. spends $483 on a new car payment and $361 on a used car payment. While $483 a month may be affordable to some, I’m going to assume that it’s a waste of money for the average person. Plus, once you add in gas, maintenance, insurance, taxes, registration costs, and more, the number is going to be much larger. I used to work at a used clothing store, and I would often hear people say that they were too good for anything that was used. However, why would someone be too good to save money? If you can buy something that you need at a discount, while still being in good condition, then why would you turn that down and purchase the same thing for much more? Wasting money at the grocery store can be an easy thing to do. You may buy tons of food with plans to make amazing meals, but often the items may rot away in your fridge and expire in your pantry. If you aren’t careful with your grocery spending, then this can be a huge waste of money. 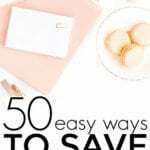 Plus, learning easy ways to save money on groceries doesn't have to be difficult. Using this cell phone app for cash back on your groceries. You may be wasting money on a gym membership if you are not using it fully. Sadly, though, gyms make their money off of people who don't come in to use their memberships. While it’s beneficial for some to pay for a gym membership, the majority of people do not get their money’s worth. If you're not getting the full value of your gym membership, then you should cancel it ASAP. This is one of the easiest ways to save money, as canceling a membership is a monthly cost that you can get rid of completely! There are so many ways to get a great workout both inside and outside your home. You can ride your bike, go for a hike, or even do circuit training from the comfort of your living room. As you can see, it’s easy to stop wasting money on a gym membership. The average person does pay too much for various forms of insurance. Yes, I said too much! I know someone who has full coverage car insurance with a deductible on a car that is worth $500, I know someone who pays for towing even though their new car comes with free towing, and there are even more situations like this. I also recommend simply calling your insurance agent and asking for a discount, as many times they will offer a discount that will allow you to save money just for asking! This is one of the super easy ways to save money, as a simple phone call may only take a few minutes. Many of these same tactics can be applied to your home insurance bill and travel insurance as well. What expenses do you think are a waste of money? How are you currently wasting money? I’m wasting money on groceries and eating out. I don’t pack my lunch for work and I’ve justified it by saying I’d rather spend my time reading or working on my business vs. preparing meals each week. Also, cars are super expensive… My insurance premiums are $1600 a year, and the registration is $200! I don’t even have a loan! Wow, that’s a lot for car insurance! A lot of my co-workers buy lunch every day. But I feel like there’s such a long line during lunch time that it doesn’t really save me much time buying lunch instead of packing it. Yes, same here! I almost always brought my lunch to work when I had a day job because of the time I would waste trying to buy it. Definitely guilty of not always bringing my lunch enough. I cringe every time I have to pay $10-$15 for a lunch meal Eeek! Smart list you compiled here, Michelle. Among the couple that resonate with me, the most is the wedding. Instead of doing the 200 person wedding, my wife and I had 10 people at our wedding. This included us and the priest. We used the money given to us for a downpayment on our house. 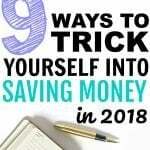 I have definitely found myself doubling checking my spending in many of these areas. After buying my first house and realizing how much stuff I needed (lawn mower, garage tools/brooms, etc) I learned to stop looking at new, and saved a ton of money by checking craigslist and garage sales for what I needed. Such a great list. Extended warranties are a real bugbear especially when it comes to items like kettles or toasters! Like, why would I?! Excellent list. I haven’t had a car note in over three years. I plan on buying a used car in the near future with cash! It’s always fun to go through the budget and see where you are wasting money each month. We have been working hard to lower our grocery bill. With two of us $350 – $400 seems like a lot. We live close to a Private college and they offer a gym membership to the public for $45 a year! Includes pool, basketball courts, cardio room, weight room, running track, racquetball and more. It’s a huge part of our life and we are so blessed to have such a low-cost option. We cut our cable over a year ago and should have done it years ago! We have saved well over $1,800 by leaving the cable in the dust. We are so much more productive without watching so much TV. Our cars are both older models that we bought outright with cash. Since I am pretty handy with cars buying older cars and fixing most repairs by myself is by far the smartest options. My 2005 Toyota Camry just hit 150,000 miles on it after our recent road trip to V.A. beach. Wow, $45 a year is a great value for that! Mr. FAF and I are guilty of the wedding and the car. Our parents insisted on having a big wedding for us in Asia. They were the ones spending the money and making arrangements. All we had to do was return to Asia and show up at our weddings (2! ), so we couldn’t say no. We also bought a new car but paid for it in cash after 6 months. We’ve agreed to look at used cars first next time. We had a big wedding too – over 200 people. However, it’s all about whether or not you can afford it. Hi, Michelle! It is just I and my fiance in our household (plus our furbaby–the cat). Instead of cable or satellite, we have two indoor antennas, which gives us 80 channels-half are in Spanish. We live in an over 2 million population city. Reception is great, and can beat the cost of cable and satellite. We pay 0 for TV channels! We spend roughly $400 for food-we always write out a list, eat before we go shopping, and try to get healthy foods. We stay away from packaged, processed food. I draw the line at spending more for “organic”, when all you have to do is wash fruit and veggies before you eat them, and cook foods thoroughly. Besides, how do you know if a food is organic, or not? You don’t. Just because some company slaps an “organic” label on food, doesn’t mean it is. I and my ex were farmers, so I have first-hand knowledge of the “organic” label that people swallow, and people are paying a higher price for “organic” foods! Unless you grow it yourself, “organic” is nothing more than a moneymaker. We quit buying junk food, too. Once a month, we go out to eat. We don’t go out to the movies. Instead, we have a overflowing entertainment center full of DVD’s. I pop popcorn, and we have tea, coffee, or water as a beverage. On our future wedding, we plan to hold it and the reception at our favorite restaurant–they have a separate room, and they do not charge extra for it. My fiance’s cousin will officiate for free. There will be no more than 40 guests invited–we don’t have large families, and few local friends. We estimate that the total cost will be less than $700. My dress cost me $30–I got it on sale at the usual place I buy my clothes–the dress is not a traditional one. This will be #3 marriage for each of us! We did buy a new car, because the one we wanted had all the stuff we needed-doors opened 90 degrees, fold-up back seats so we could fit a wheelchair in it standing upright “Magic Seats”, a good size cargo hold in the far back for groceries and such. It is a 2016 Honda Fit, and it has great gas mileage–up to 55 MPG. Our minivan was on it’s last legs, so it was time to get another vehicle, before the van broke down on us for good! I got the price reduced $4,000, and the monthly payment, too. I’m a good negotiator! Guess we cut into the salesman’s commission! We are on a very limited budget, as I work part time, and he is receiving SSDI, which doesn’t add up to much. So, saving money is paramount for us. Sounds like yo are doing very well. Thank you so much for sharing this! I really do regret spending so much money on my wedding. Everyone had a good time, and it was done on quite a small budget, but still. I wish we’d put the money towards our debt or our home payment. It really would have saved us a lot of headaches! Good reminder that we need to keep our focus. I have been guilty of many of these items, car payments, cable and extended warranty among them. Once you sit down and see how much these things are costing you it should be a quick decision on what to do with them. Thanks for the reminders!! I definitely save my money on food and water as I carry my own bottle and food to work but I spend a lot of money on gym, TV and my car I should definitely cut down my expenses there. month. All this saves us over $75 a month. That’s over $900 a year! We do still have our gym membership. The guys in my family play basketball and racquetball weekly. We use variety on vacation – homeaway.com, airbnb.com, regular motels, staying with family, bed and breakfasts, and free nights at motels because of credit card hotel rewards. $30K for a wedding. Yikes! 40 years ago my husband and I spent $100 on ours and I don’t regret it for a moment. We took the money we would have spent and put a down payment on our first house which we got 2 weeks after the wedding. Spending that kind of money tells me the event is more important than the marriage and I often wonder cynically how many couples get the wedding loan paid off before they get divorced. As I said, I’m a cynic. We spent a lot of money on our wedding – I don’t think it’s always a negative thing. It just depends on if you are being realistic with your budget or not. Great idea about the phone bill Michelle! We are spending WAY too much on our Verizon bill. Depending on costs we will be switching this coming summer to another company. One that I am looking at is Google Fi. Republic Wireless seems like a great option that I will take a serious look into as well. The issue I am having is most likely I will have to buy two new phones. To work on the new network. Maybe I will use one of your other tips, buy used rather than new. I’ll have to look into Google FI – I’ve heard others talk about that as well! What an awesome list! I used to waste a lot of money on these things including (car, cell phone, etc). One way I eliminated a lot of these cost is with a new job that covers all of those items. It was an instant raise! Another thing a lot of people waste money on, but don’t realiz it is their investments. Often people are paying 2.5%+ per year for their investments when they could get the same or better investments for .25%. This extra expense could easily add 10 years until you retire. Yes, that’s another one, for sure! Great point. I’d add not investing in the first place to the list. My husband and I are guilty of this and realised just yesterday how much it’s costing us. Both me and my wife are guilty of spending like anything on our vacations. We later realized that it was a mistake on our part for spending lavishly and that we could have saved for our retirement. My wife and I were “frugal” with our wedding in various ways. Due to awkward family dynamics, we went to Antigua on our own to get married, then had a vow renewal service once we got back to the UK. We stayed in Antigua for a fortnight after the wedding for the honeymoon. For the do back in the UK, we made arrangements with my local pub, which (handily) was in a very nice area of London. On the day, we were there at 6am and decorated it ourselves. My mother in law did the flowers. My wife got her dream wedding dress. It was worth about £1500, but she bought it on eBay for £150, then spent about the same amount on tailoring to get it turned from a UK size 12 to a UK8! Instead of booking cars from the registry office to the venue, the whole wedding party did it by train, which was an amazing experience, especially when we were applauded when we walked through London Victoria station! One thing we were determined to do was not have a wedding that costed our guests a bunch of money. I’ve been to weddings like that where the people are being “flash” and the guests have to pay hundreds per night for their rooms and extortionate amounts for their drinks. By making the savings we did, we were able to lay on champagne and an open bar for everyone who came – there was actually champagne left the next day! This is an awesome list! I recently started re-evaluating my finances and realized I was spending way too much money on subscription boxes and my cell phone. It was hard to cut back, but I’ll be happy to have that money set aside when I need it in the future. I agree with everything you’ve written here. I ditched the cable about 7 years ago, and once my car was paid off, I kept driving it, and actually still am. I also went to a month-to-month plan for my cell phone and cut my bill in half, and I still have Verizon and an iPhone. Although, I’m not sure I will keep the iPhone going forward. I’m not sure I can get myself to pay $700 for a phone! Once I got my car paid off, I changed up my car insurance as well, so I’m saving a lot of money there too. All great points, but the one about people feeling they were too good for used is particularly interesting. Regarding warranties I would also add that in some countries, you may be covered by consumer law even if a product is out of warranty. That’s the case in Australia where products need to have a ‘reasonable’ lifespan. The other wasting money trap we’ve fallen into when travelling to cheap countries is spending too much on food. When meals out cost a quarter of what they do at home, we forgot our frugal ways and we were having cocktails, dinner out every night and sweets during the day. Needless to say, Nepal was one of our most expensive holidays ever! Can we add new tech to your list? I’m always blown away at the amount of money people will pay for the latest tech gadgets, only to have them replaced by newer and better literally months later! I’ll very happily stick with last season’s iPhone to save a few hundred dollars, thanks. This list is what the entire US needs to see. We are wasting so much money on little things that add up. Another one to add is “Subscriptions”. I can’t tell you how many times I have forgotten to cancel an unused subscription and it end up costing me money that I could have saved. Totally agree – simply questioning every expense can lead to savings! Sure, you may decide that it’s worth it to spend however much you’re spending on certain things. But even then, it doesn’t hurt to see if you can spend less on things that are necessary. Groceries and car insurance are two areas that we could definitely do better in. Unfortunately, our good friend is our insurance agent. As soon as he accepts a new job (with a cross-country move), we’re jumping ship and looking for cheaper insurance. I’ve been trying to get the grocery bill down, but it still amazes me how much we spend (and eat!) each week for just the two of us. A few months ago we found out Verizon had changed their data plans/fees and of course they didn’t notify us. By talking to them we were able to cut $10 off our monthly bill and we aren’t using any more or less data than before! We had a budget for our wedding and honeymoon. I made the decorations myself, enlisted college students to play the music, had friends help set up the venue, etc. Maybe I should blog about it now that I’m thinking about it haha. Great ideas! We already implemented things on here – we dropped cable years ago.The bill was around $80. Now we watch Hulu and Amazon Prime shows – at a cost of around $15 per month. Much more reasonable! Got rid of the gym too. Now we just walk and bike ride. 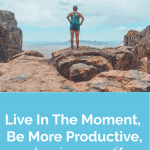 Great exercise – and free! Great list! We stopped taking out loans for cars a few years ago and it was such a great feeling when we paid cash for my husbands car. I’ve been driving my car for 7 years with 160k miles on it and I love it. It’s such a great feeling not having a car pavement. Take a look at homeowners deductible. We raised ours from $1000 to $5000 and saved about $700 a year. Now my homeowners is cheaper than my mothers and our home is 3x larger and worth 4x more. I see a lot of people wasting money on services they could do themselves. Youtube has saved us so much money. We have fixed a leaky toilet, repaired a washer, and pulled up flooring and baseboards, all thanks to Youtube. 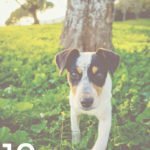 Lawn care, pest control, pet grooming, and even haircuts, can all be done ourselves. Saving money is not the only benefit, but there is a sense of pride and accomplishment when tackling your own projects.